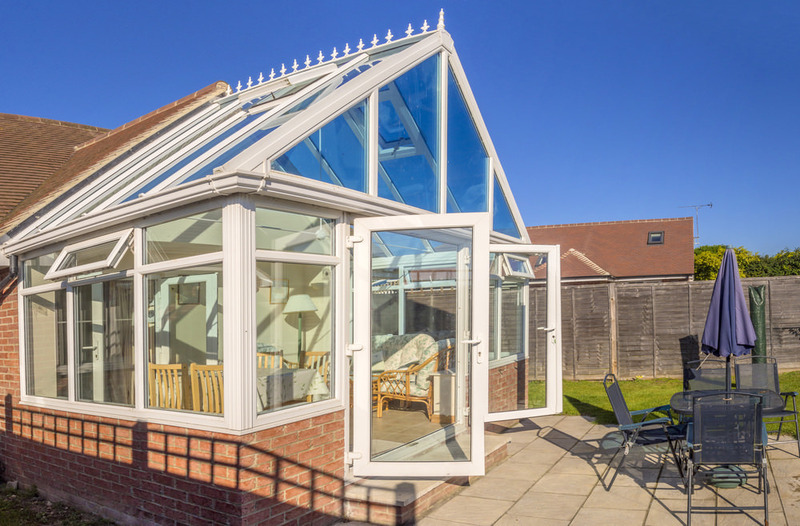 We offer free appointments at a time to suit you when we can come and discuss your requirements and create the perfect conservatory design for you and your home in Romford. The installation will be as stress-free as possible, but our service doesn’t end there. Our installers will also guide you on a range of related technical issues such as drainage, ventilation, heating and electricity supply. We supply and install completely unrivalled Ultraframe conservatories throughout Romford and Essex. Our exceptional roof system is British Board of Agrement (BBA) approved for white and wood grain effect finishes, which confirms its superb performance and quality. Our Ultraframe conservatories are also accredited to ISO9001-2000 meaning that our technical, design and production meet registered standards. 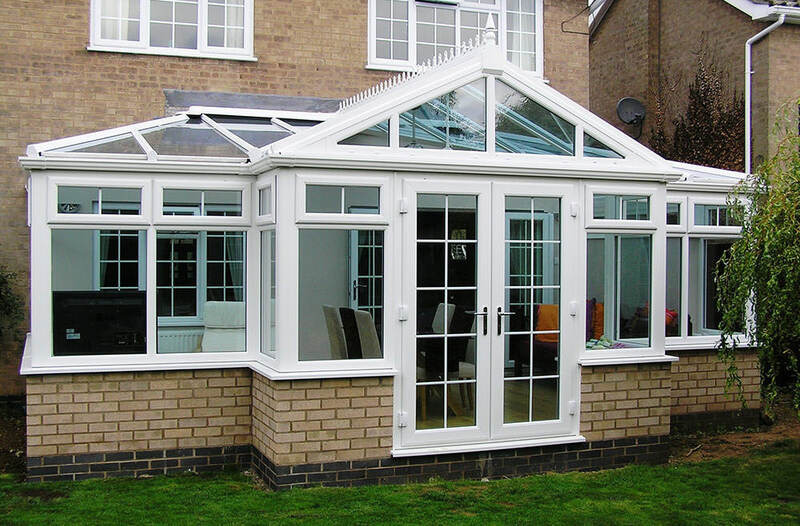 We offer a wide variety of conservatory styles to our customers in Romford and Essex. You can be confident that whether you have a modern new build, or a period property, we are sure to have a style to suit you. One of the most popular styles of conservatory is the classical Victorian conservatory, due to its ability to suit any home. 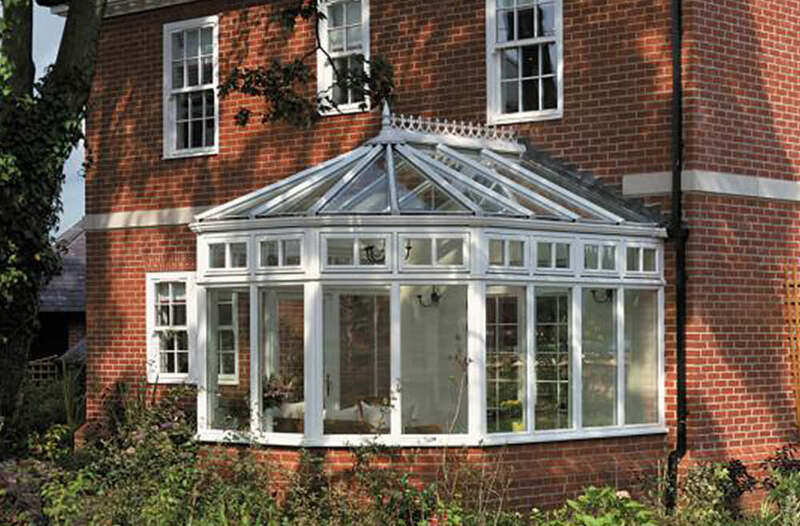 Our Victorian conservatories have a bay front, a steeply pitched roof and ornate ridge details. Consisting of 3 facets, the curved design allows natural light to flood into your property in Romford. If your home is a larger property with more space outside, 5 facets are also available. The Edwardian conservatory maximises the space available with a design that styles itself on the architecture of the Edwardian era. The square or rectangular shape allows you to make the most of the new room, making a great additional room for a dining room, living room or even a playroom. The design is also ideal for homes in Romford or Essex with low eaves or first-floor window sills. It has refined, clean-cut lines which make it easy to maintain with linear drainage from the roof. The traditional lean-to is the perfect choice for when space is limited, yet you want a sunny, practical additional room. With its clean lines and appearance, this style is incredibly versatile. The lean-to conservatory has a low-pitched roof which makes it ideally suited to bungalows or houses in Romford or Essex that are restricted by height. Gable conservatories, also known as gable-end conservatories offer grand and luxury space to any home in Romford. The design features include a high apex roof which allows plenty of natural light to pour in and a spacious feel, creating a beautiful feature for your home. A gable conservatory is square or rectangular in style, giving you maximum space to plan the interior. They have stylish front elevations with windows that extend right to the apex and work to create a sense of grandeur and opulence. The P-shaped conservatory is a style which offers the perfect space for larger, detached properties. It combines a lean-to conservatory with a Victorian conservatory, which can be either three-faceted or five-faceted. Designed to make the most of your available space, these stunning conservatories can extend out in all directions. You will be delighted with the versatile and beautiful design that these conservatories provide. 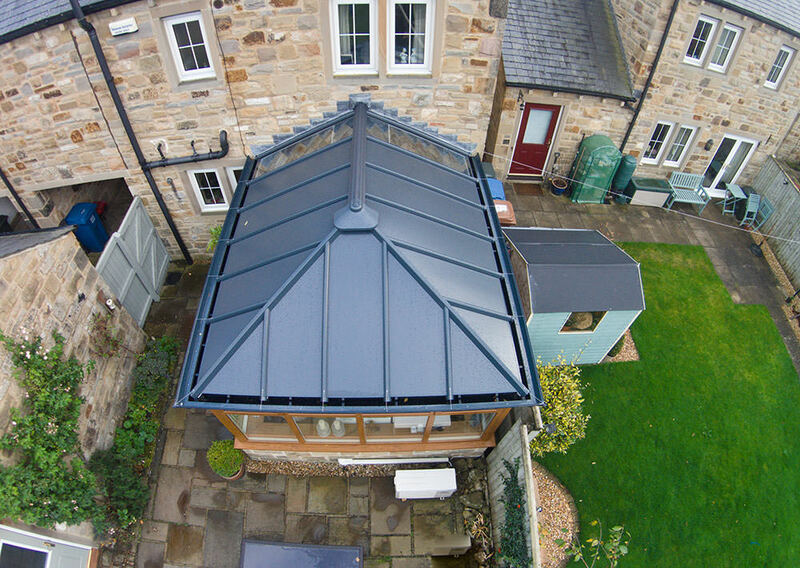 The T-shape conservatory is another style that works best with larger properties. It combines Victorian, Edwardian or Gable styles, and features a central projection. The T-shape conservatory is one of the most wonderful designs available and will be an asset to any home in Romford or the Essex area. The T-shape conservatory is a very versatile style which enables the creation of two distinct living spaces within the one room. The design means that the central part projects into your garden, which enhances the connection between your indoor and outdoor living spaces. You can also opt for a ‘porch effect’ thanks to the central projection. 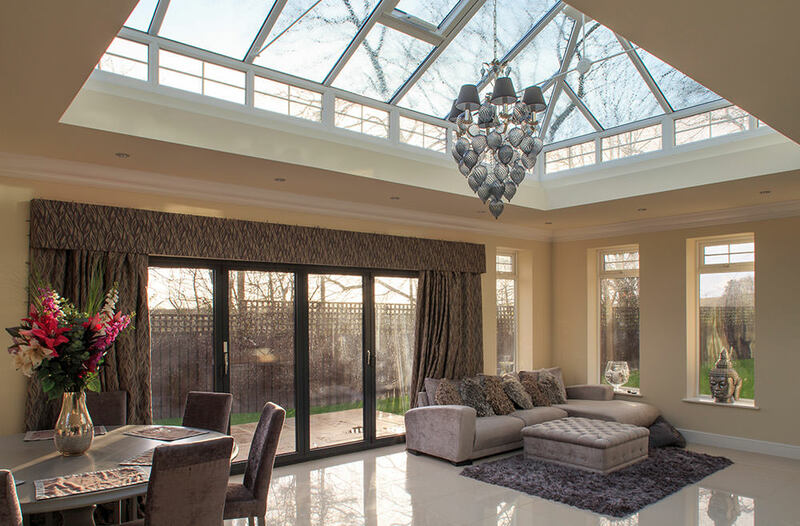 For a completely astounding feature, the lantern conservatory is a perfect choice, as it offers opulent and luxurious style. These stunning conservatories often house swimming pools, or are used to complete orangeries and for very large conservatory designs. Lantern conservatories feature a two-tier conservatory roof on different levels, creating a ‘wedding-cake’ effect. The two levels are separated by a row of windows that provide a simply stunning look. This superb design makes them an ideal choice for heritage or stately homes in Romford, where the conservatory needs to match the grandeur of the existing building. We offer a completely free design service to help you create the perfect conservatory, why not make an appointment with us at a time to suit you? You can also contact our friendly team or visit our online quote calculator to get a tailored conservatory price. Our conservatory quotes are free, and there is no obligation attached.